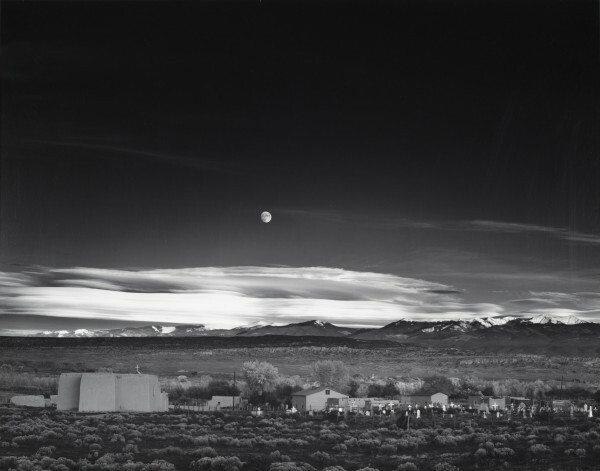 Ansel Adams’ magnificent photographs of the American wilderness are recognized and admired the world over. He shaped many of our current views of the natural world through his compelling and accessible images. He possessed a unique sensitivity to the power of light, a gift that allowed him to reveal both delicate details and vast areas of beauty in his work. Adams’ innate ability to visualize a finished image as he composed a shot resulted in dozens of classic and beloved photographs. Furthermore, Adams is widely recognized for his superb aesthetic sensitivity and technical skills, and played a central role in the acceptance of photography as a fine art. 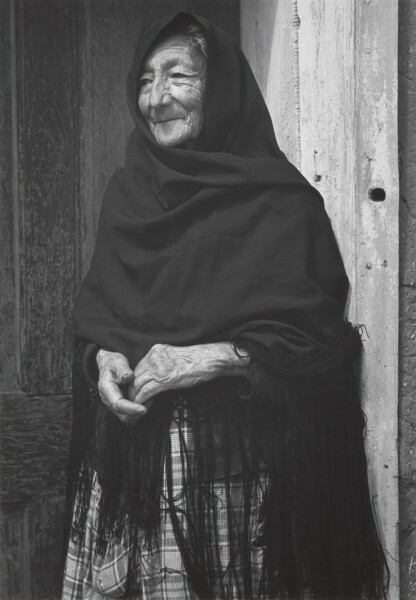 Classic Images includes 72 images – all black and white – that Adams personally printed for his daughter. It is one of his Museum Sets, a portfolio he conceived in the 1970s as the best images from his career. Landscapes dominate the group, complemented by some close-up nature works, portraits, and architectural subjects. With each photograph, Adams reveals his own emotional response to the subject, making them far more than mere records of a place. The 15 sections of the exhibition encompass Adams’ work throughout this country, from 1921 through 1968. 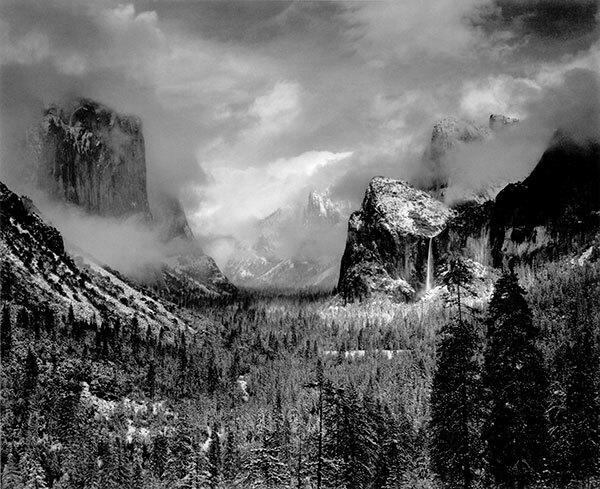 His devotion to the American wilderness is evident in his photographs of several National Parks, and especially images of his beloved Yosemite. Sponsored by Sarica, with additional support from Jon and Lori Bartell, Andy & Cathy Bell, Bryce Hill, Inc., Comfort Keepers, Patrick Field, Clayton Hays, Deborah Hill, Mark Kearns, Tom, Tina, Argeri & Yanni Lagos, Ross McGregor & Dr. Cathy Crompton, Dr. Rick Nedelman & Lori Thomas, Dr. Charles & Jade Parsons, Pentaflex, Steve & Connie Schneider, and Wallace & Turner, Inc., and with assistance from the Convention and Facilities Authority. All photographs from the collection of Anne Adams Helms; exhibition coordinated by Peoria Riverfront Museum, Peoria, IL.